The eldest son, John turned to Jimmy and said sternly, “Time to do the right thing, Jimmy. Either pay back the loan to the estate, or forgo any further inheritance. Though I have to say, I think it is pretty low to steal from a dead woman.” Jimmy stood up, shook his fist at his siblings and stormed out of the attorney’s office. 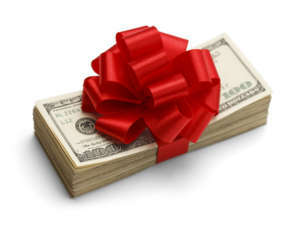 For estate planning purposes, there is a difference between a gift and a loan. Gifts have some estate planning benefits. They reduce the value of an estate, as well as the estate tax burden. Under federal tax law, estate holders are permitted to give away up to $14,000 a year per person tax-free. When a married couple makes a gift, the exclusion increases to $28,000 a year. The gift can take any form, be it cash, an interest in property, or a business. In addition, for gifts of high value assets, the exclusion may be spread out over five years. There are some restrictions on gifting. An estate holder is limited to giving away $5.49 million during their lifetime. Any gifting in excess of that amount will be subject to a federal gift tax of 40%. California does not currently have a gift tax. However, gifts of property located outside of the state, or gifts made to people who reside out of state, may be subject to the gift or income tax laws of those states. Therefore, when making gifts that fall into those categories, it is important to consult with an attorney to minimize the tax implications. Loans, on the other hand, are considered an asset for estate planning purposes. When properly documented, they are included in the total value of the estate. Absent specific instructions from the testator about loan repayment, the executor may elect to call the loan in full at the time of the debt-holder’s death, and/or make arrangements for repayment, either through an installment plan or by subtracting the loan value from an heir’s share of the estate. 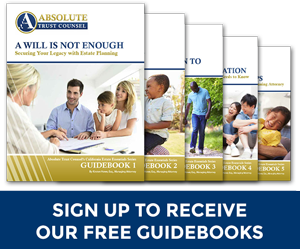 However, it is in the best interests of the testator, and his or her heirs, to fully document any loans that have an impact on the total value of the estate. Such documentation should include a formal promissory note, which states the amount of the loan and the terms under which it must be repaid. In addition, the testator’s wishes regarding loan repayment upon their death should also be spelled out in their estate plan. For example, a testator may wish to forgive the loan, apply the loan balance against an heir’s share of the estate, or seek repayment for the benefit of other heirs. Similarly, any gifts made during a testator’s lifetime must be recorded for estate tax purposes. When the total value of lifetime gifts exceeds $5.49 million, the excess will be subject to a federal gift tax. The issue of whether money dispensed by a testator is a gift or loan is best decided when the money is received. Clear documentation will not only avoid subsequent tax problems, it will also prevent discord among family members. The most loving of families have been known to engage in furious, life-altering battles over inheritance. With a little preplanning by the testator, those battles can be avoided. 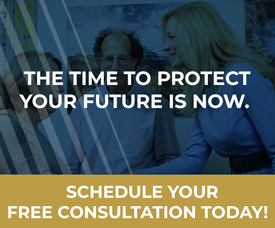 Advance Health Care Directives: Do I Need One? 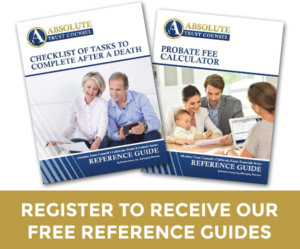 Missing Persons: When is Someone Dead for Estate Planning Purposes?